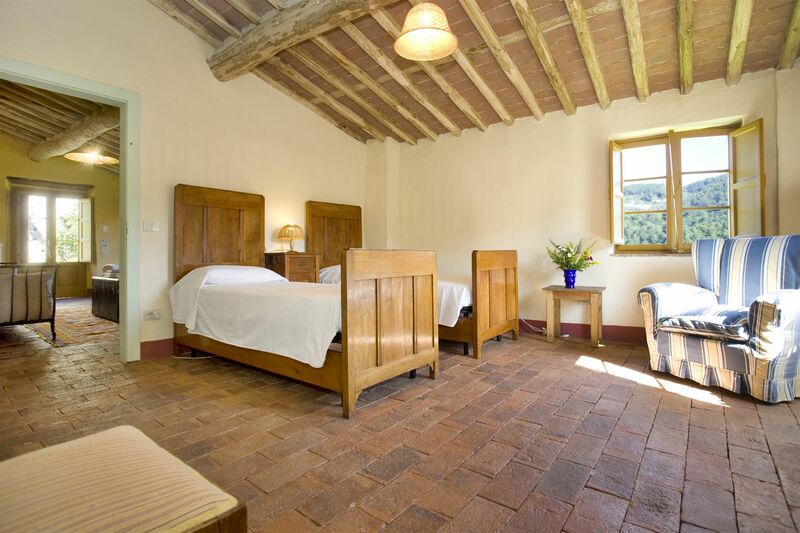 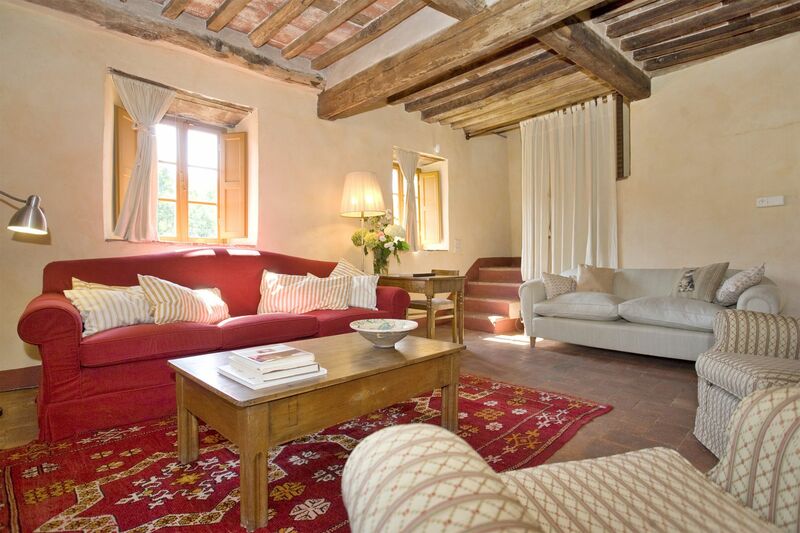 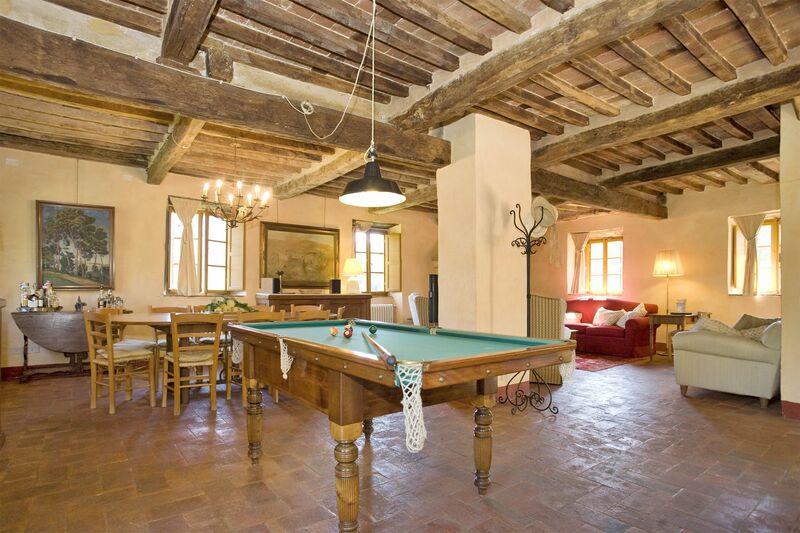 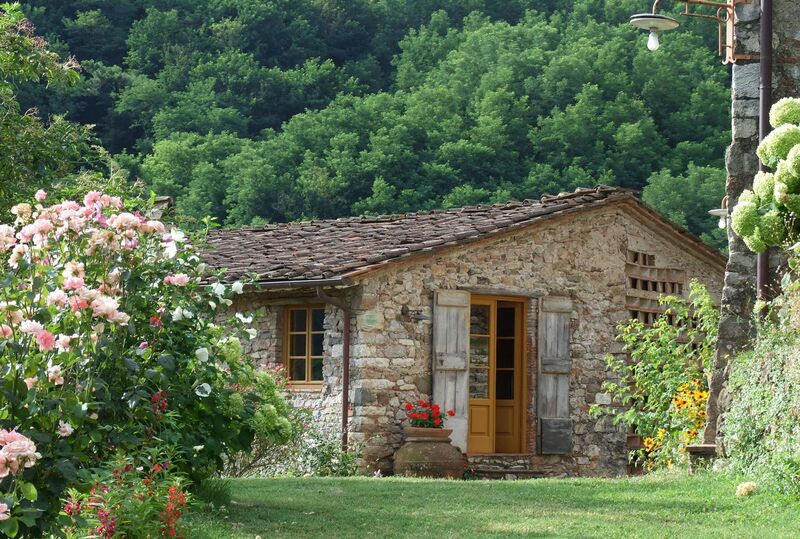 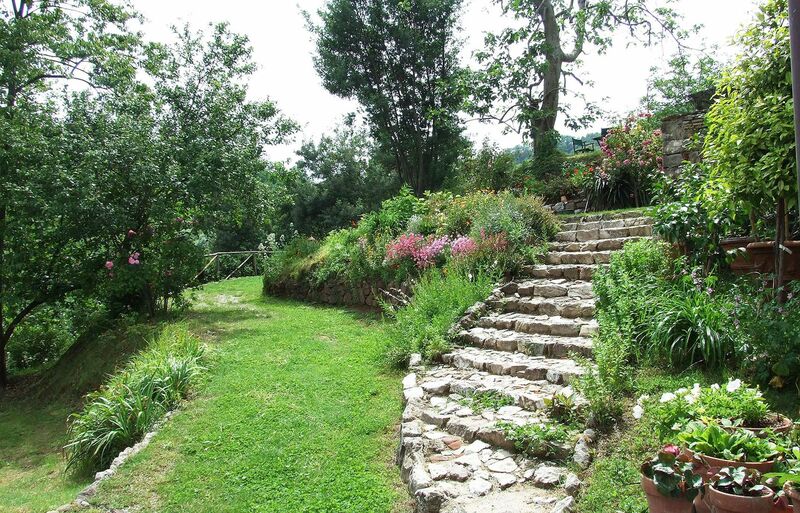 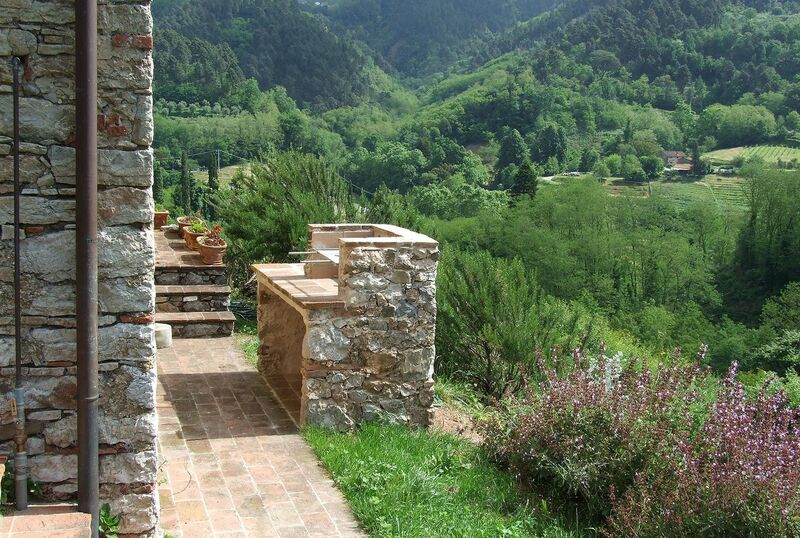 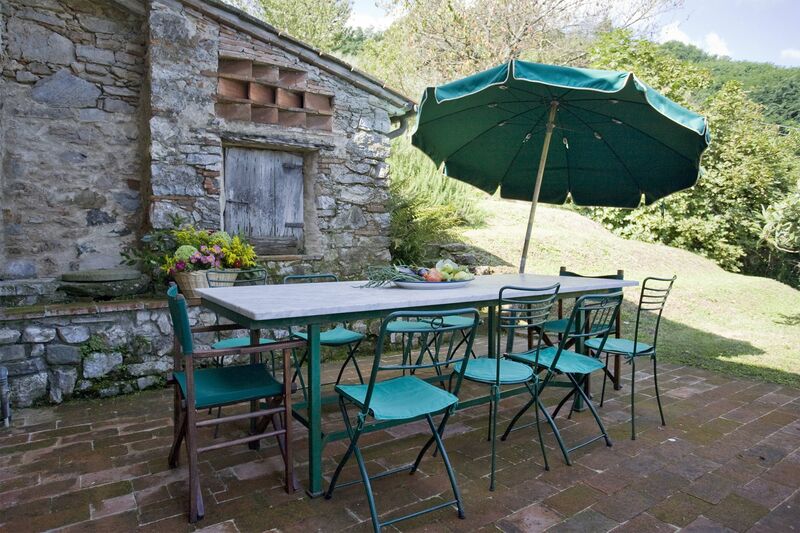 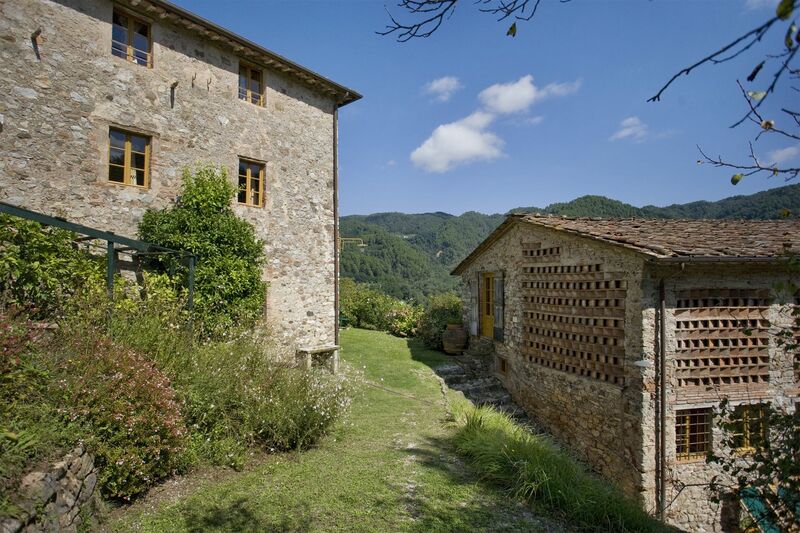 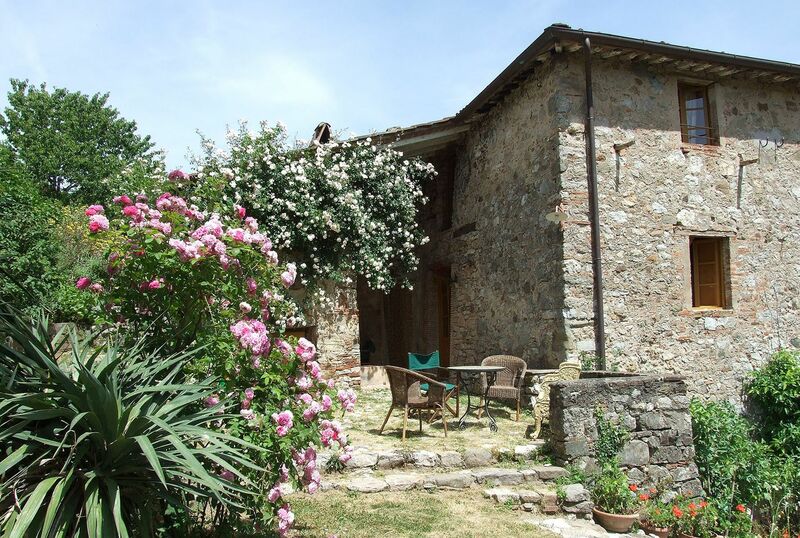 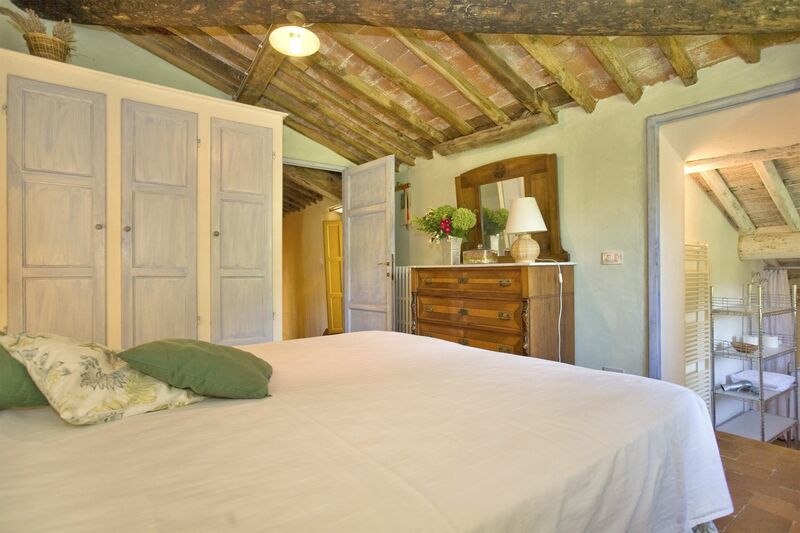 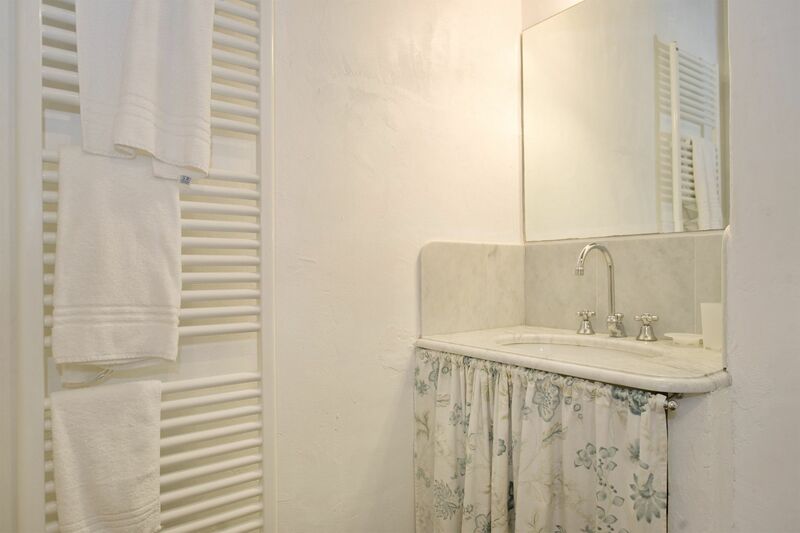 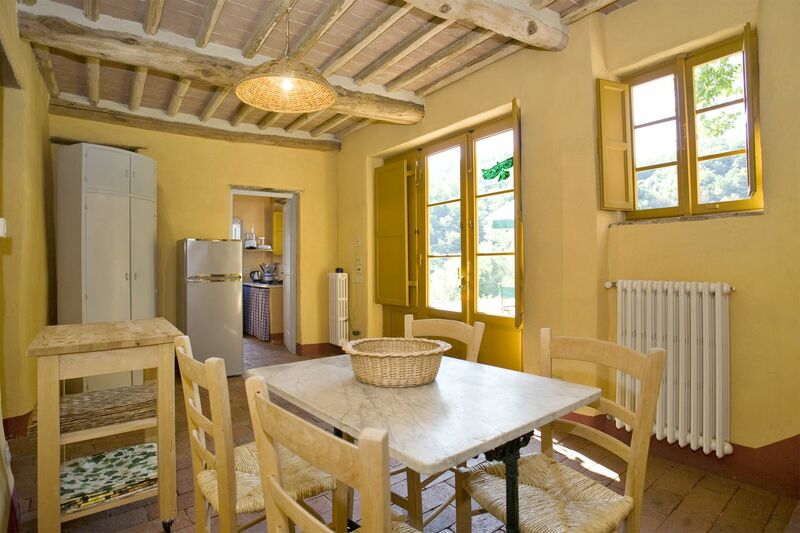 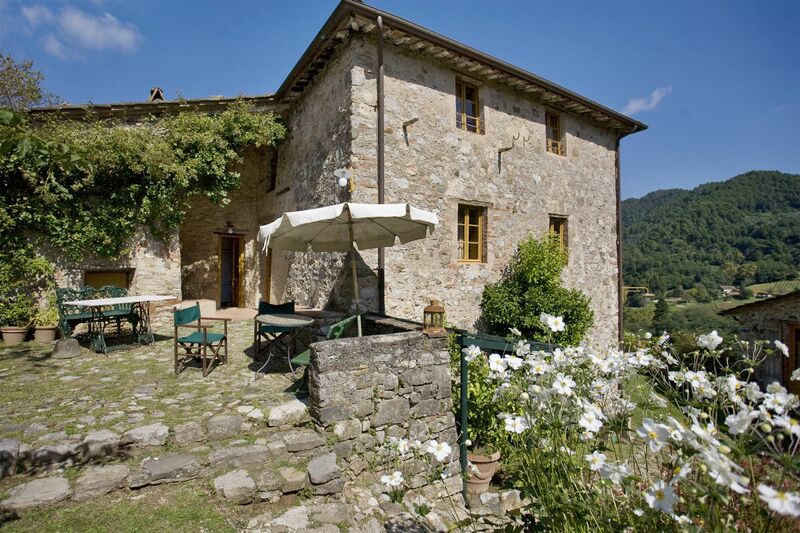 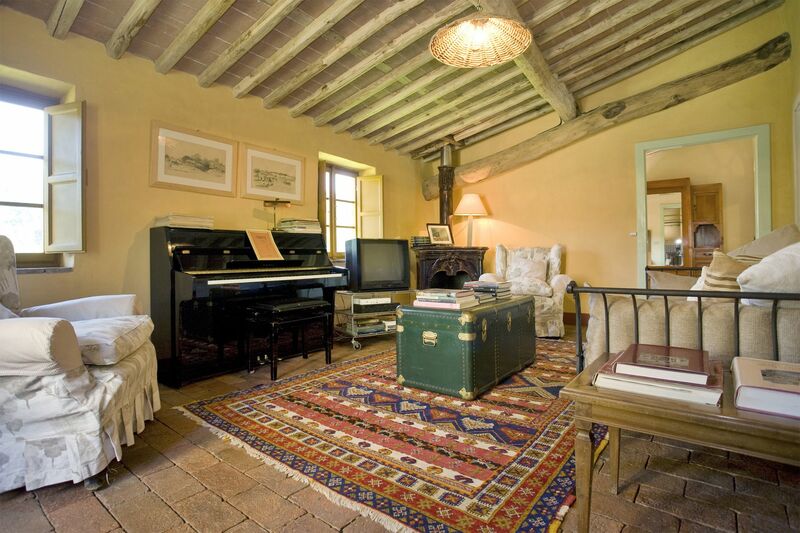 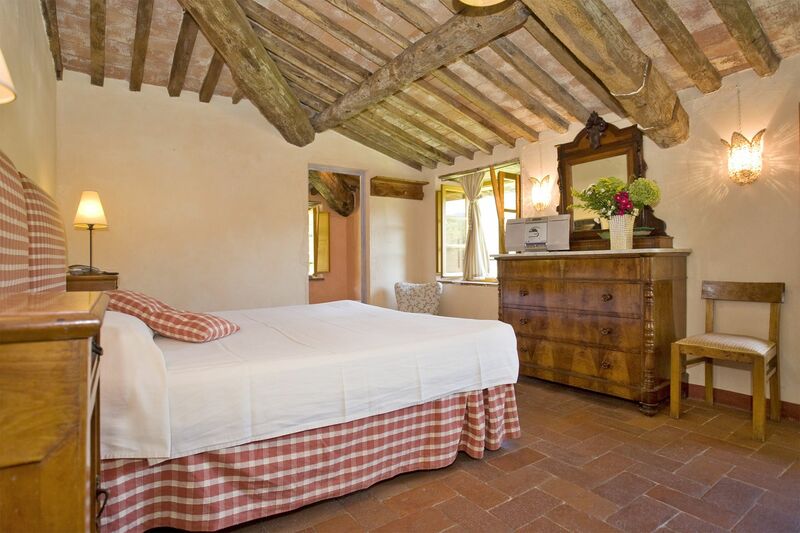 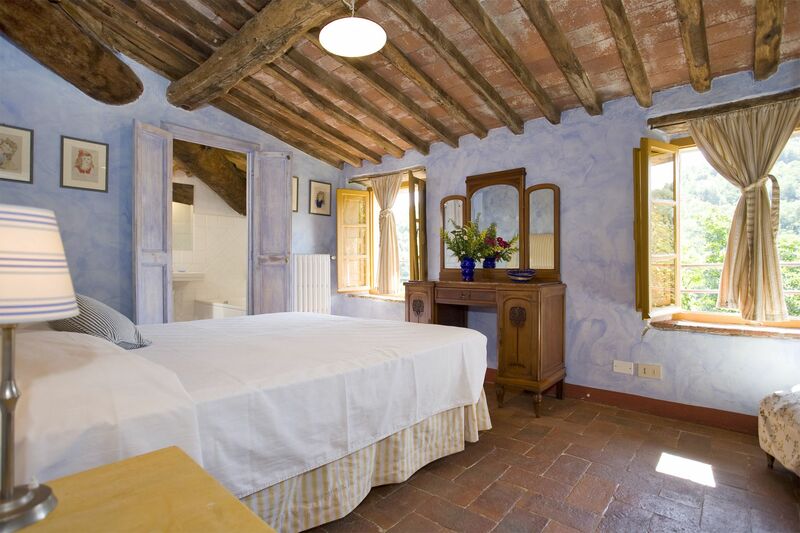 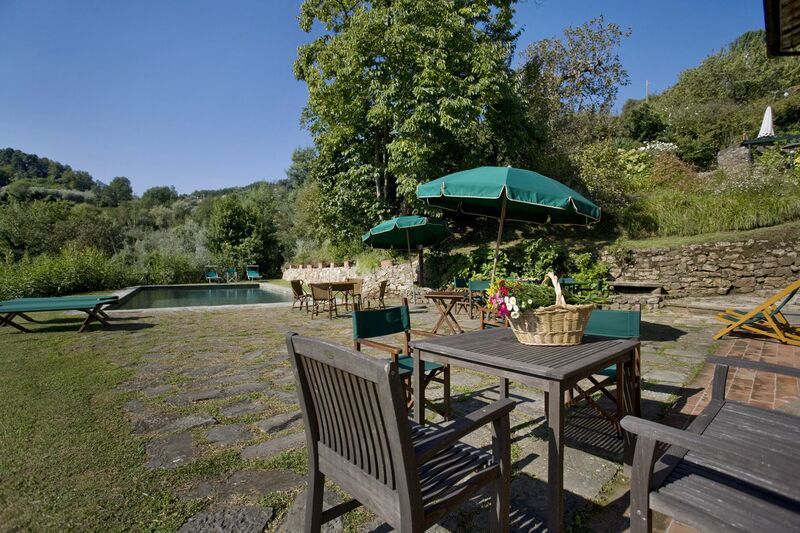 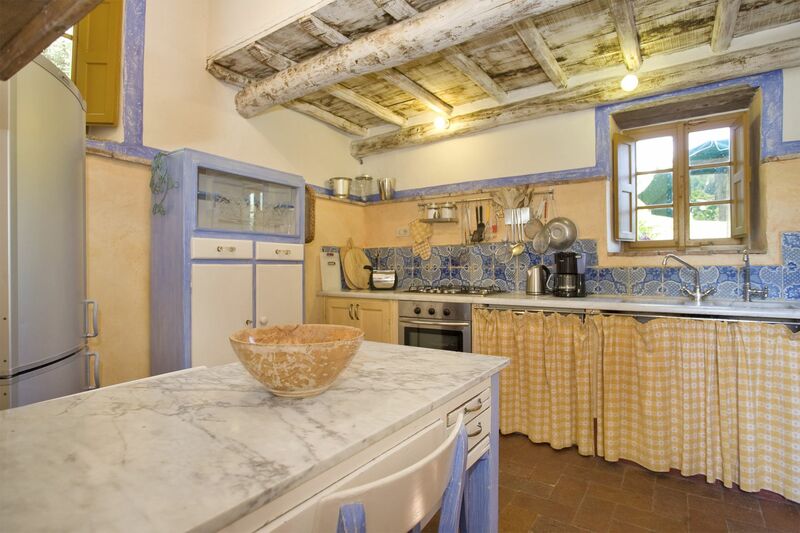 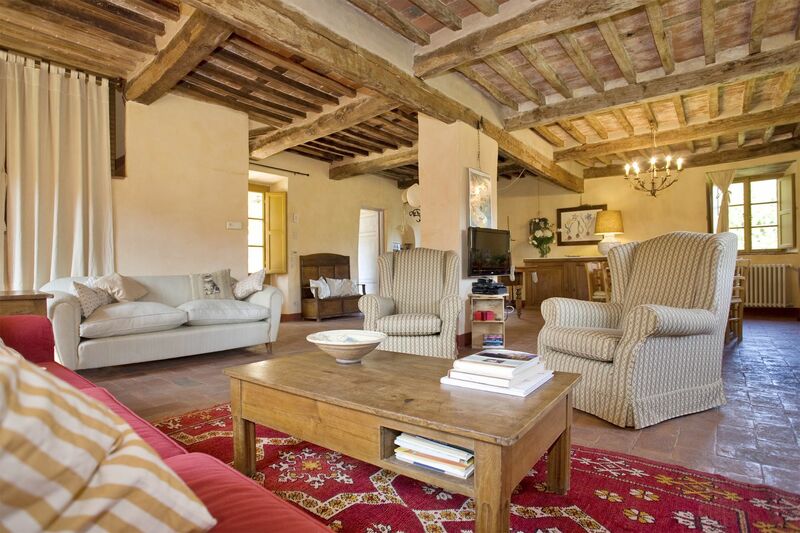 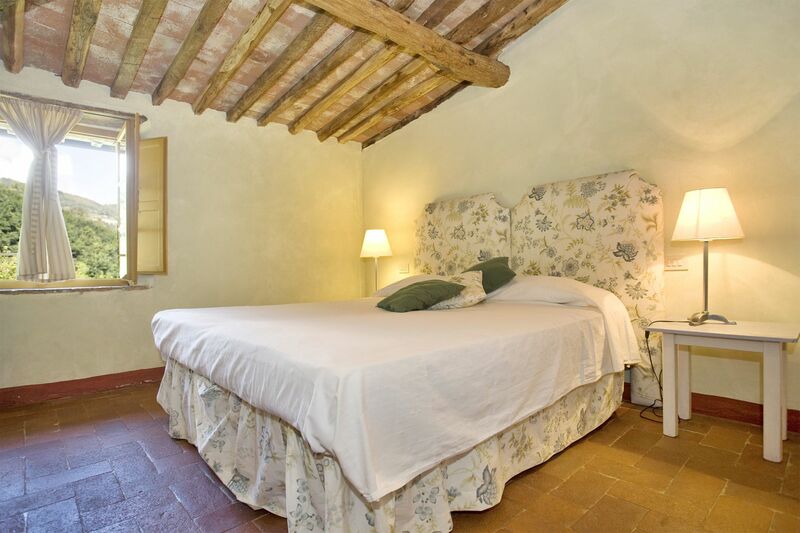 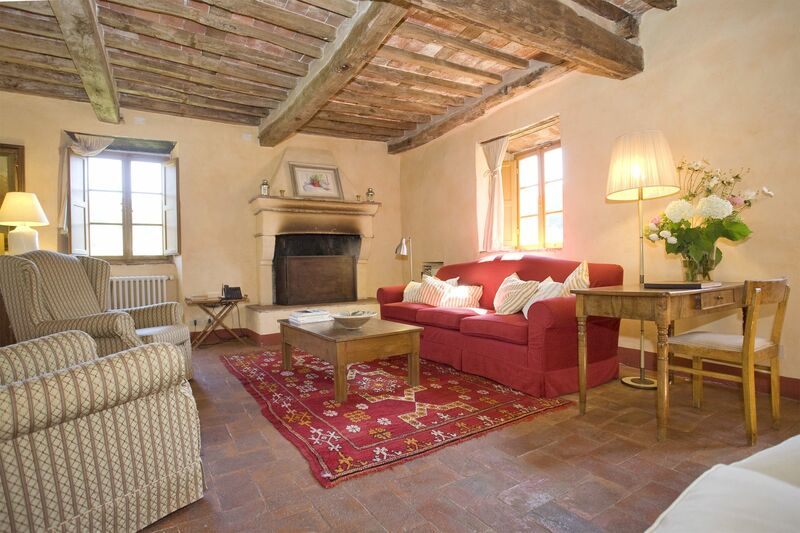 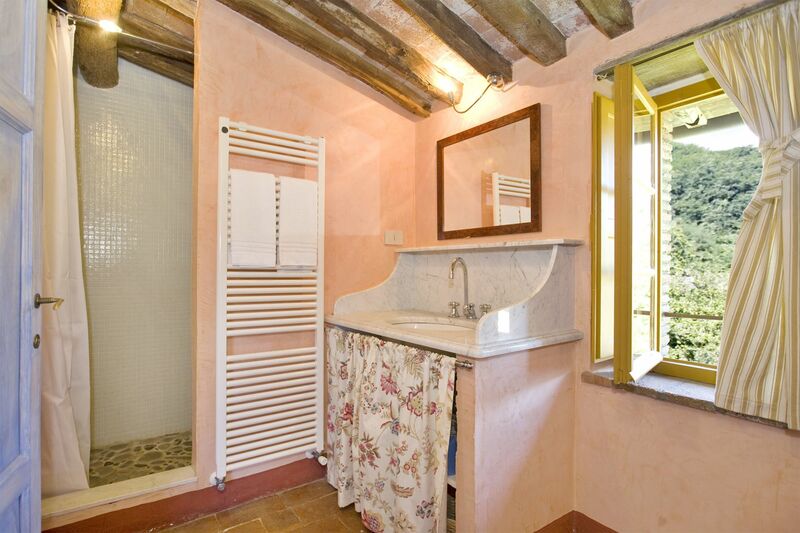 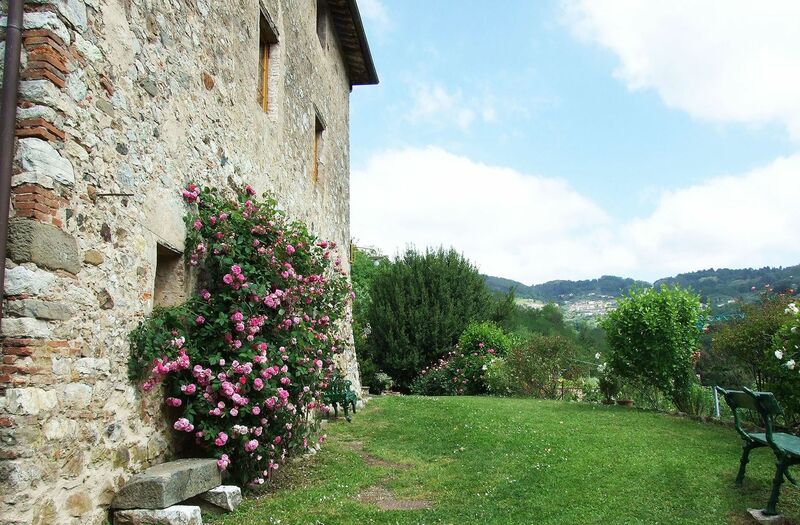 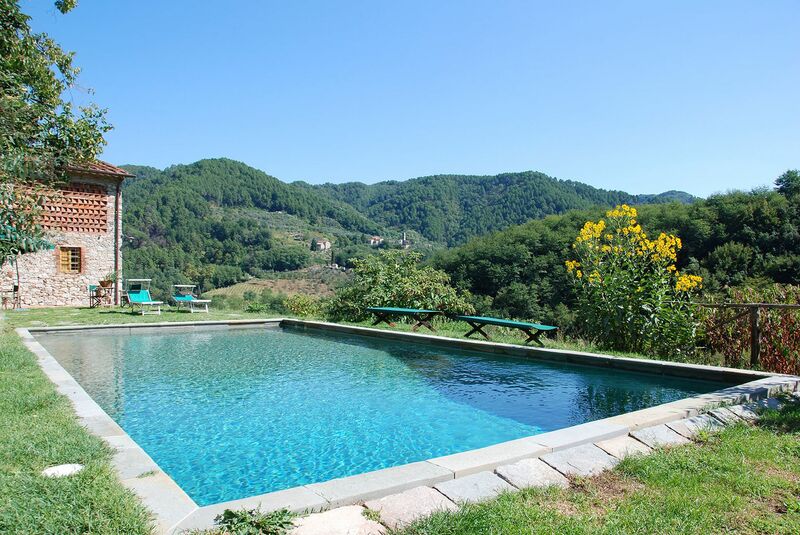 This lovely property is located in the hills between Lucca and the Versilian coast, with the possibility of reaching the major Tuscan cities of art for day trips. 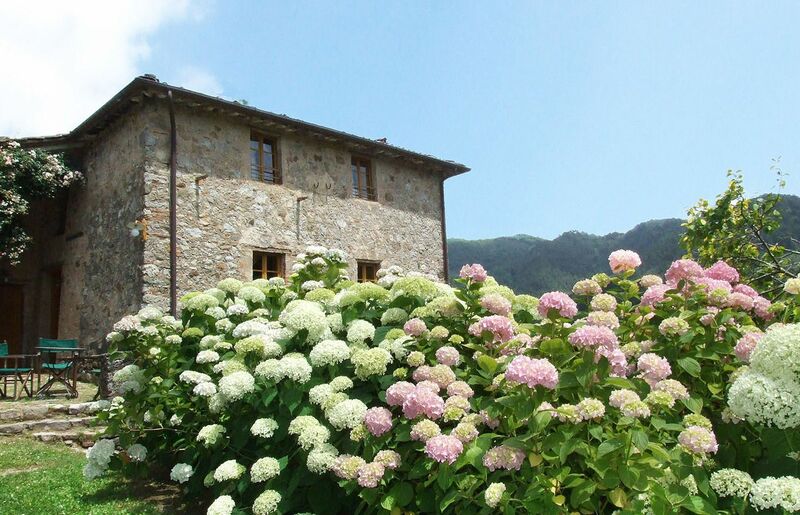 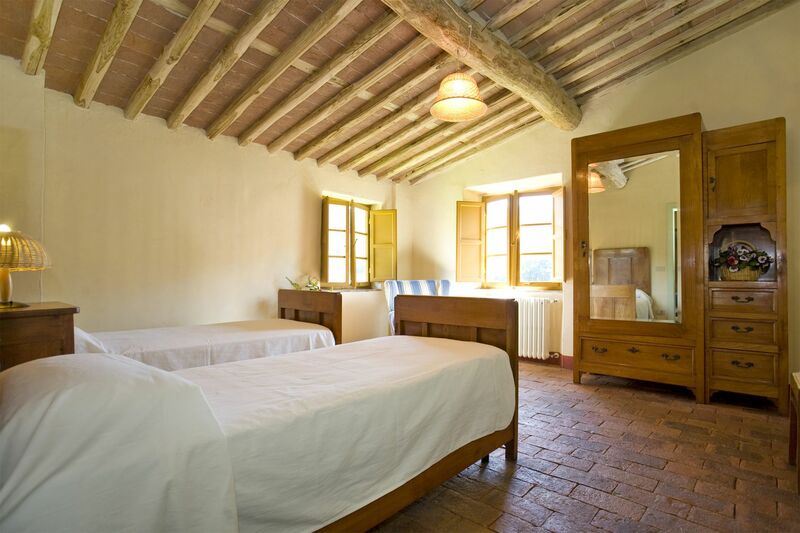 The present owners restored Bottino, a property under the supervision of the Italian Historic Buildings Administration, which is made up of a farmhouse and a barn. 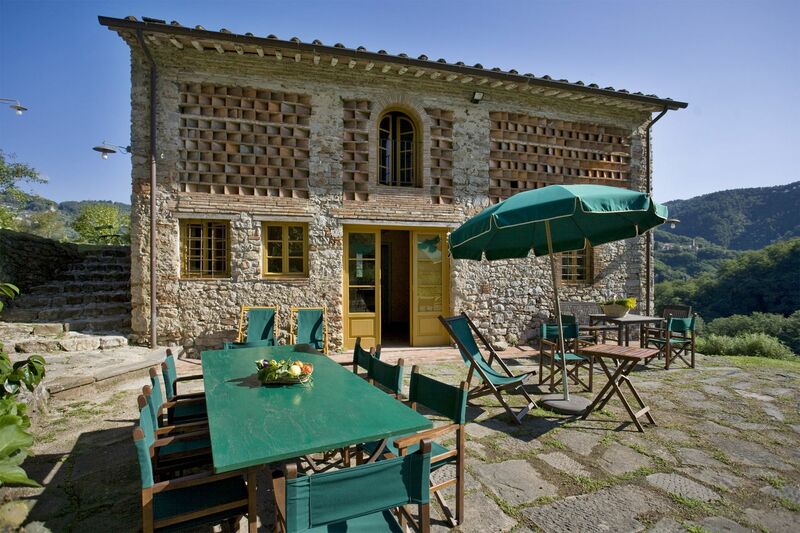 The restoration resulted in a very attractive country-style property, composed of two buildings, where two groups or families may enjoy a stay together while maintaining their independence, as each house offers its own kitchen, a cosy sitting-room and every bedroom has an en-suite bathroom. 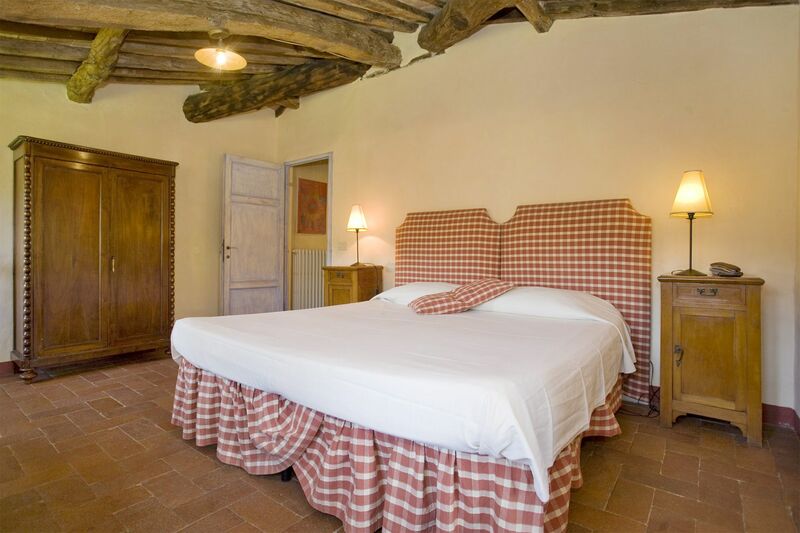 Also all beds can be prepared either as double or as twin beds (please warn in advance of your request). 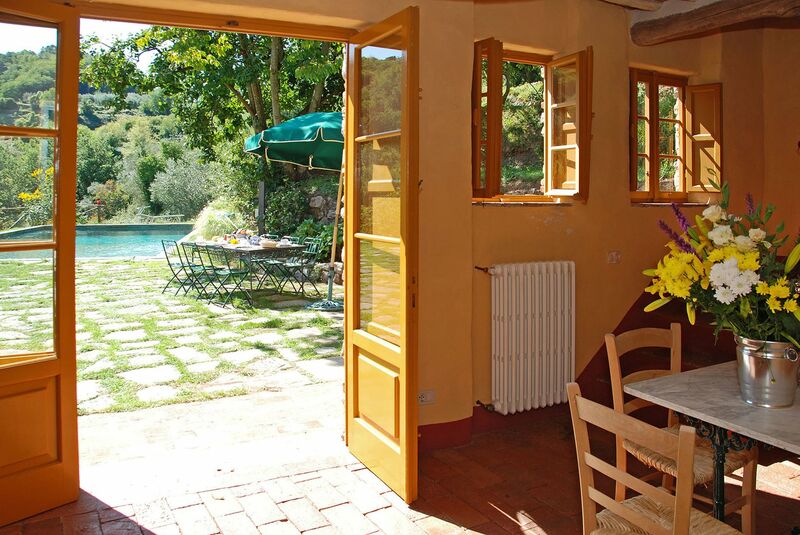 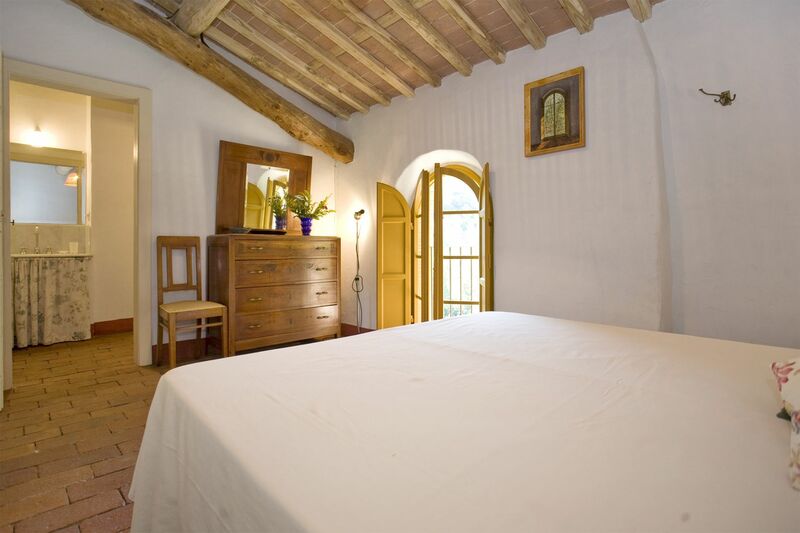 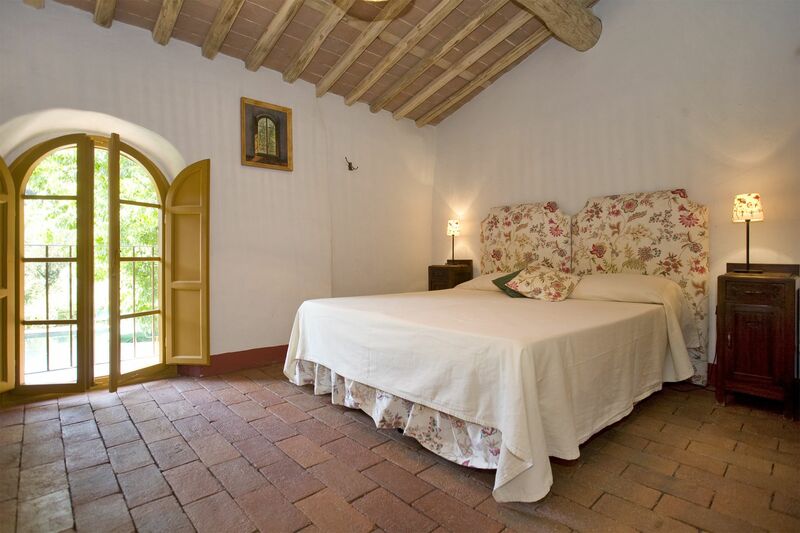 The lovely terraced garden, surrounded by an olive grove, offers guests several places to sit outside and is nicely furnished for outdoor meals. 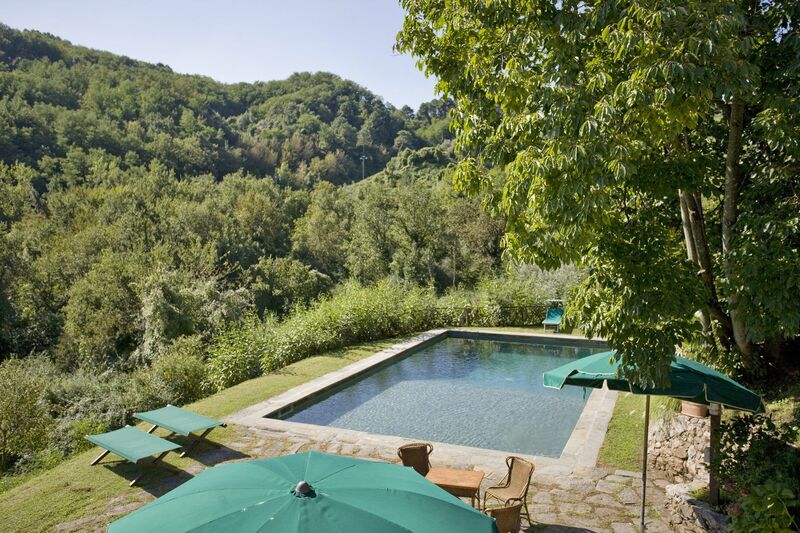 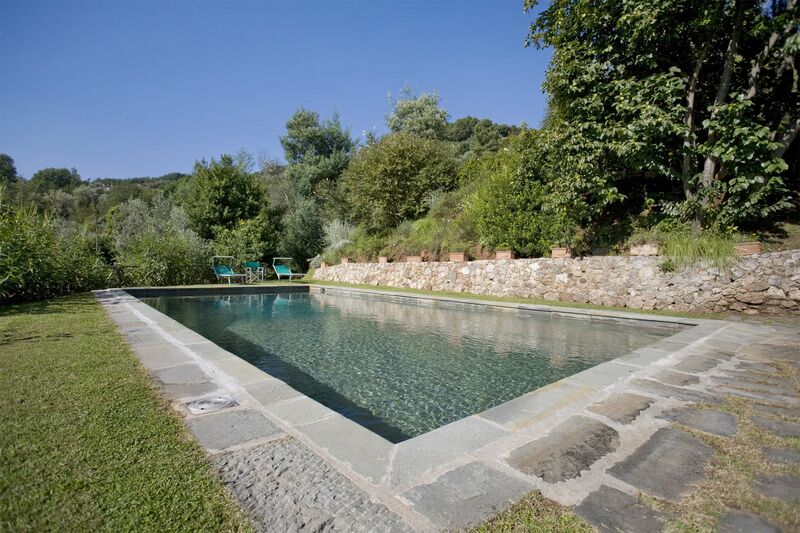 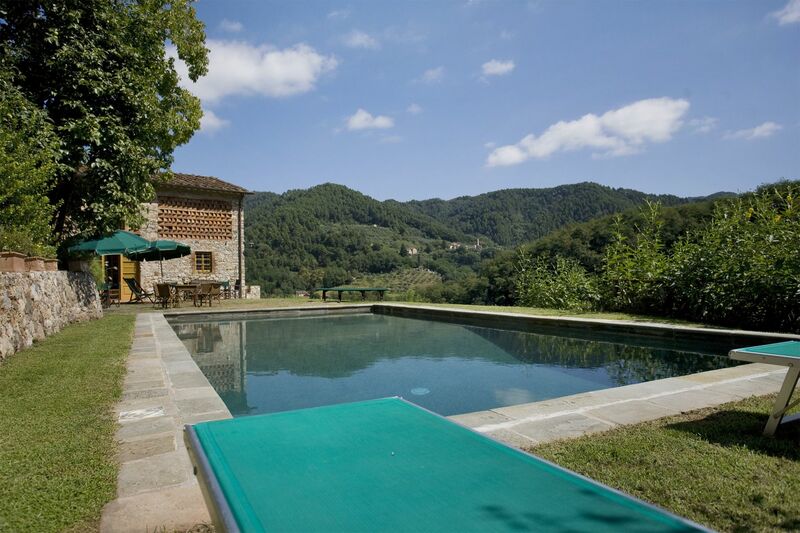 The pool was designed to blend perfectly with the Tuscan countryside, and has been placed just outside the barn, with lovely views of the surrounding hills. 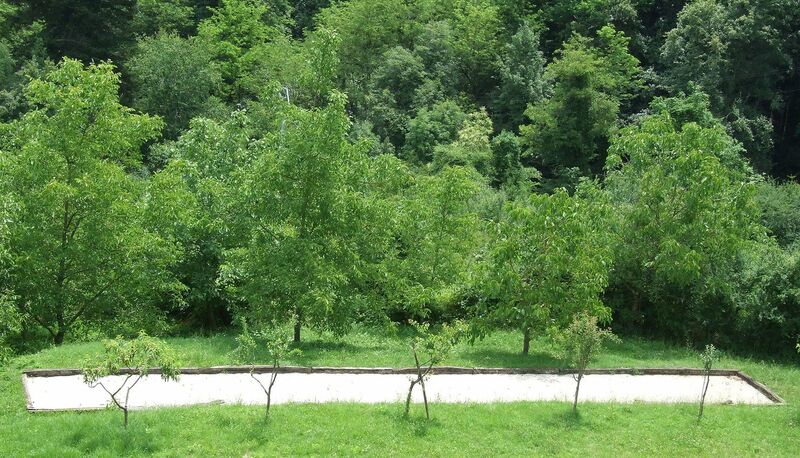 Close to both the Apennines and the Apuan Alps, this setting is also excellent for hikers and people who like to walk. 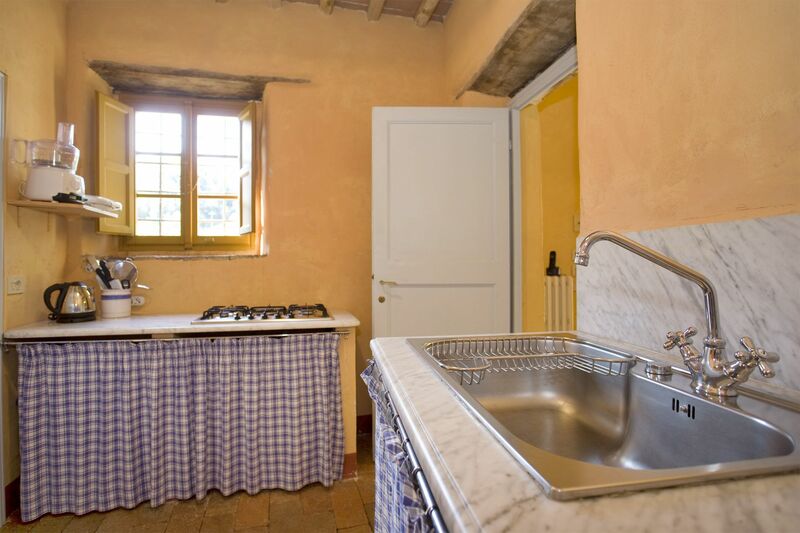 Cooking lessons are available upon request. 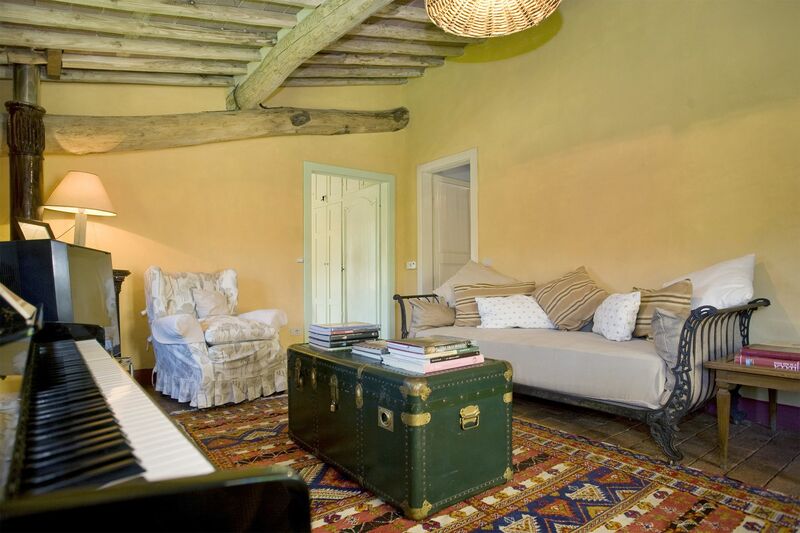 Ground Floor: Very spacious sitting room with dining-area and doors to the outside terrace ideal for outdoor meals, kitchen, guest bathroom. 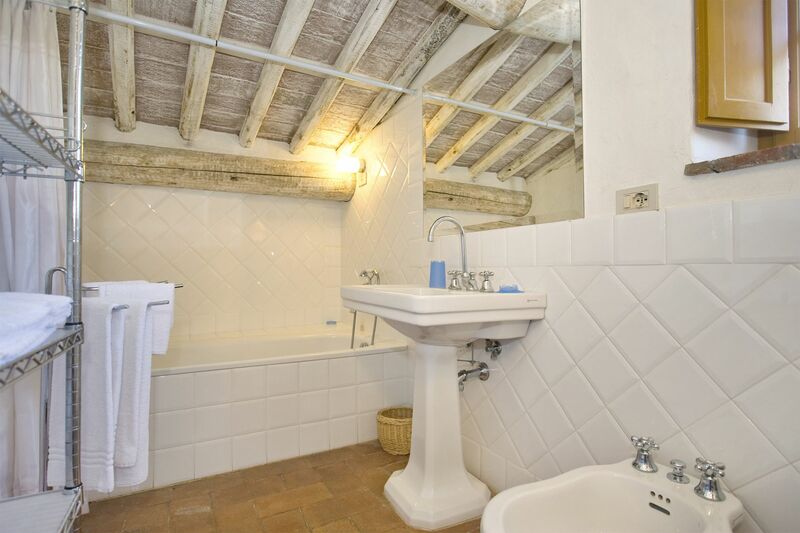 First Floor: Double bedroom with en-suite bathroom (bathtub); double bedroom with en-suite bathroom (large shower); double bedroom with en-suite bathroom (bathtub), three steps below. 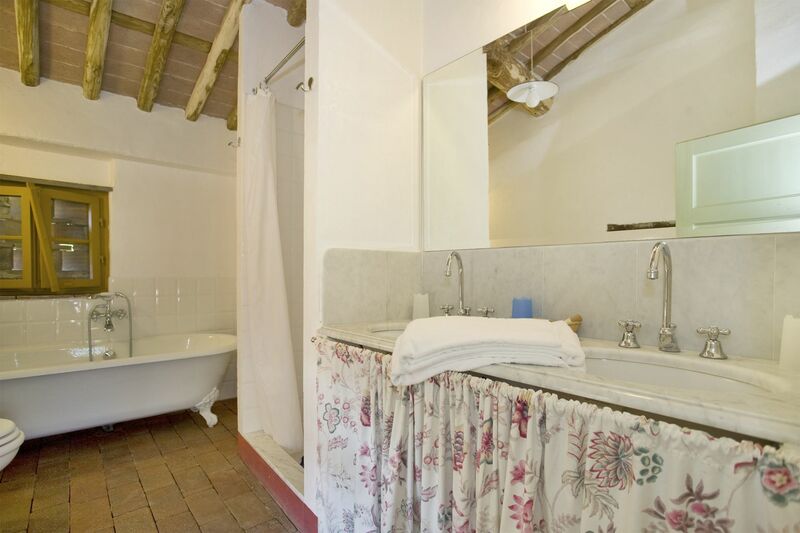 Ground Floor: Breakfast room opening to the outside at the pool level; kitchen; bathroom (shower). 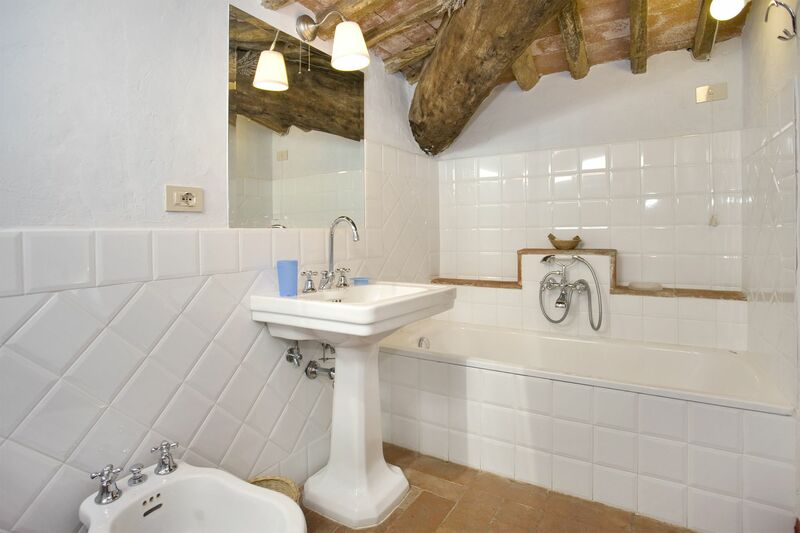 First Floor: Sitting room with piano; twin bedroom with en-suite bathroom (bathtub and separate shower); double bedroom with en-suite bathroom (shower).